Our interdisciplinary human talent team is trained and willing to bring you the best service at all times. To guarantee the quality of our services, we have a unique human talent, interdisciplinary and trained to bring security, trustworthiness and comfort to our distinguished clientele. offering an integral service focused in safety and time optimization with the goal of rising productivity and improve the quality of life. We will be known as the best option in integral solutions in aerial transport. There will be development of projects to a national and international scale to encompass all the sectors that demand aerial service and its different modalities. Always at the leading edge of technology. 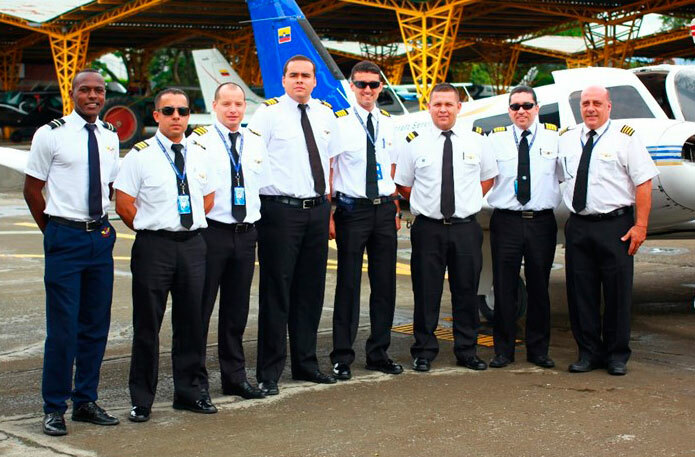 We will have the best qualified team of the entire aeronautical market which will be renowned as the best corporative image of Charter flights and aerial ambulance of the country.